The Parthenon Enigma: a New Understanding of the West's Most Iconic Building and the People Who Made It. Product prices and availability are accurate as of 2019-04-20 11:32:56 EDT and are subject to change. Any price and availability information displayed on http://www.amazon.com/ at the time of purchase will apply to the purchase of this product. Since the Enlightenment, the Parthenon—the greatest example of Athenian architecture—has been venerated as the definitive symbol of Western democratic values. Here, Joan Breton Connelly challenges this conventional wisdom, drawing on previously undiscovered sources to present a revolutionary new view of this peerless building. 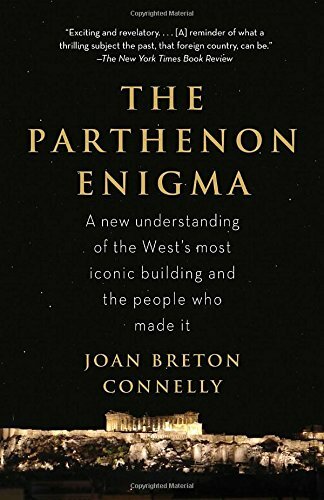 Reaching back across time to trace the Parthenon’s story from the laying of its foundation, Connelly finds its true meaning not in the rationalist ideals we typically associate with Athens but in a vast web of ceaseless cultic observances and a unique mythic identity, in which democracy in our sense of the word would have been inconceivable. 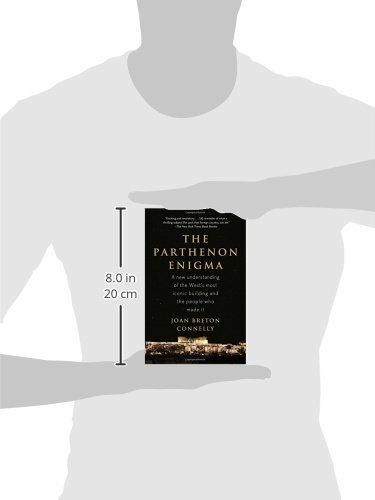 Marshalling a breathtaking range of textual and visual evidence, and full of fresh insights woven into a thrilling narrative that brings the distant past to life, The Parthenon Enigma sheds a stunning new light on the ancient Athenians from whom we claim cultural descent—and on Western civilization itself.